One of my tasks last year was to create an integrated editorial calendar for my upcoming podcasts (Social Media for Authors Podcast), Friday blog posts, and newsletters. The content calendar in turn directed my social media calendar. I hate to admit this, but I’d never created this type of calendar before. I’ve written three-month editorial calendars for my blog, but never one that was so detailed. My first task was to brainstorm topic ideas. Some people use mind maps for this step, but I’ve never found one that I liked. Is Facebook Advertising Worth It for Authors? Each topic becomes a theme, which I note in a separate column, and every bit of data I introduce supports the main thesis. Next, I decide on one call to action and note that in the next column. I’m an author so right now the calls to action are for one of my books. In the next column, I list the web address to previous posts that are pertinent to the theme. This step is followed by the web addresses of other posts I find on the blogosphere that contain valuable information within the established theme. Finally, I have a column for when I create the artwork. How often you’ll post the information. Which social media networks you’ll post it on. The changes in title you’ll create for each tweet if you send recurring tweets. If you write in different genres, you might want to add a column for the specific demographic you’re targeting. Maybe you want to use specific keywords in different posts depending on your specific demographic. You can do the research in advance and plug it into your content calendar. There have been times in my life when I’ve gone without a calendar. It’s not a particularly good feeling. When it’s time to write, I have to spend time researching topics. That’s what I love about the calendar; the research has already been done. Having a calendar doesn’t mean that you have to stick to it. Life happens; issues shift. If you have a sudden burst of inspiration and want to change some items on your calendar, do it. Don’t ever let a calendar stifle your bursts of creativity. You can incorporate holidays into your calendar and plan ahead for them. You can incorporate book launches into your calendar. 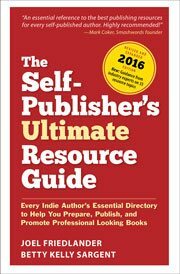 You can include content to support book sales, book readings, and other efforts that promote your books. It makes your social media marketing easier because you’ll be able to plan future tweets and Facebook posts and artwork for Pinterest. There’s another benefit to developing a calendar. If you track web visits, retweets, and other forms of social sharing, you will develop a body of evidence. This evidence will be in the form of dates your readers were more likely to share you content, dates when web traffic spiked, and dates when book sales improved. Then you can refer to your calendar and determine which types of content triggered engagement and sales, and which type of content left your website a tad lonely with few to no visits. Click here to download a sample of an editorial calendar. I’d love to know how you prepare your calendars and what you include in them. Hi Frances! I love this article! I tried to download the calendar but it’s not working. What program can I use to open it? Kate: Let me ask Joel about why it’s not opening. I used an Excel spreadsheet to create it. I work with a PC so don’t know how you’d do it if you use a Mac but if you download the file and a window pops up asking you to select a program to view the file with, just select Excel. That’ll open the file. Hope that helps. Thanks! I had to change the file type after downloading and I was able to open it. Thanks for the help! Content calendars often change but it serves as a great guide as the week, month, quarter, etc. moves along. It provides a sense of direction and keeps things organized. Kristen: I agree. We need to be flexible with our calendars. Great post Frances. Part of my 2015 writing plans, was to plan and write more focused content posts. I was determined to have no more of the “what should I write?” moments in 2015. Thanks for the template, Frances! This is a case of “right info, right time.” My goal for 2015 is to approach social media in a regimented way and focus on a particular marketing goal each month. No more haphazard posting! Your spreadsheet is the kick in the pants I need. Monica: I’m so glad you found the template helpful. Thanks for your comment! Great post, Frances. And it comes at a time when I was just thinking about doing this very thing! Serendipity in action. Many thanks. Yes, serendipity in action! How cool is that?